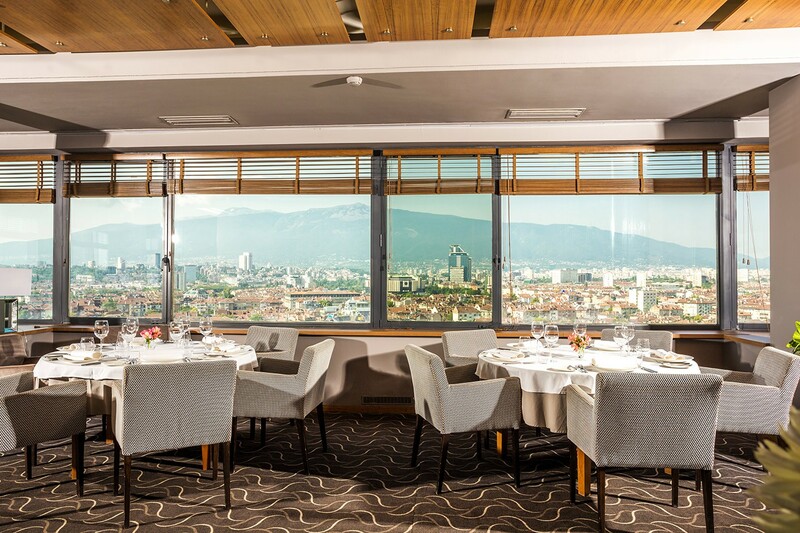 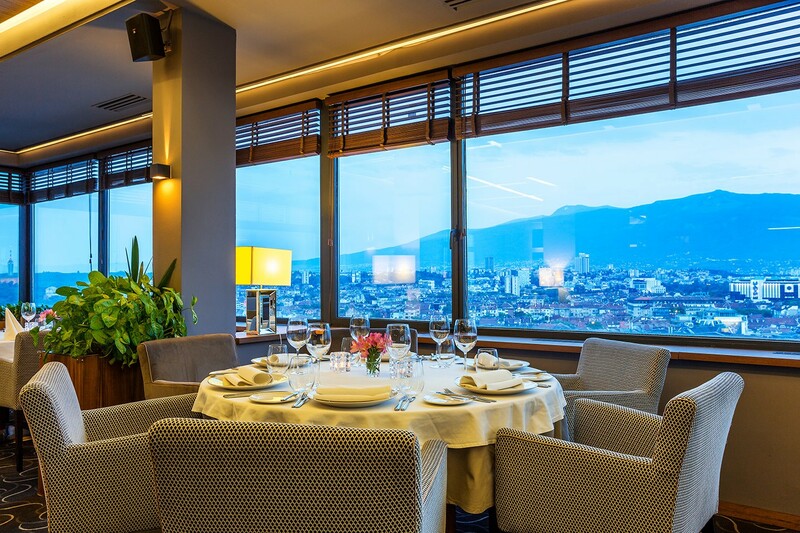 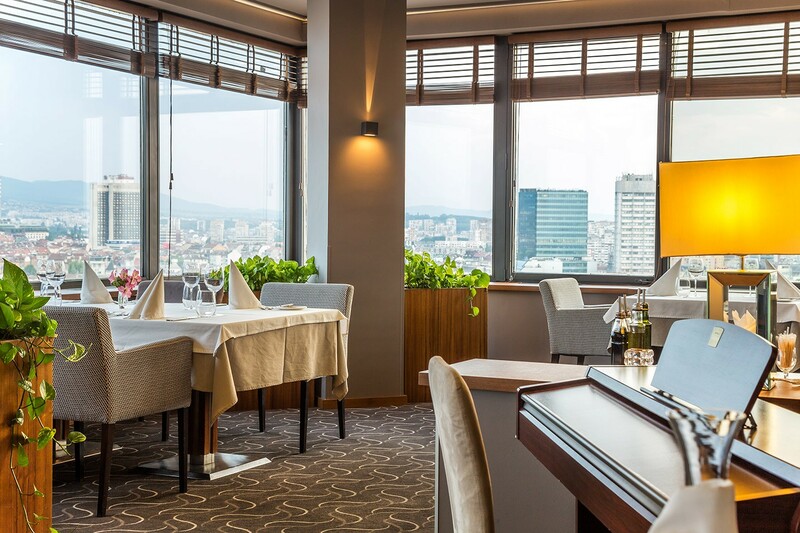 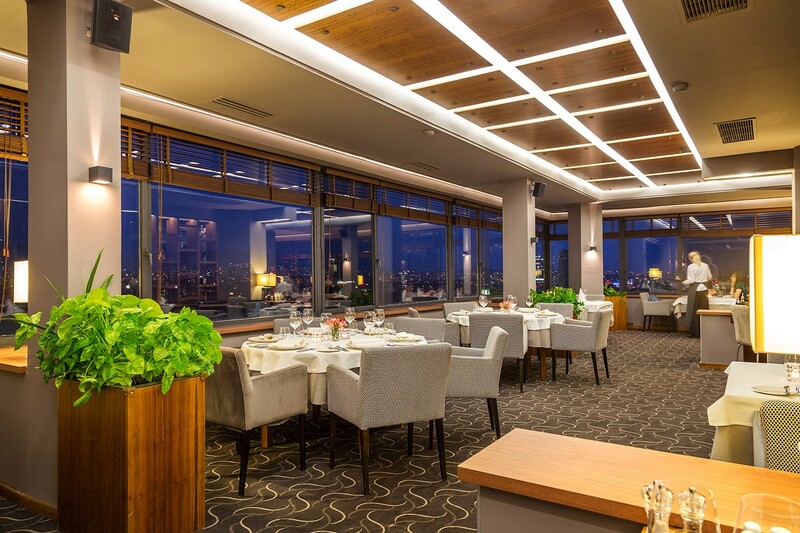 "At The Eagles" is situated in the center of the capital on the emblematic yellow paved areas on the 18th floor of one of the tallest buildings in Sofia - the Ministry of Transport. 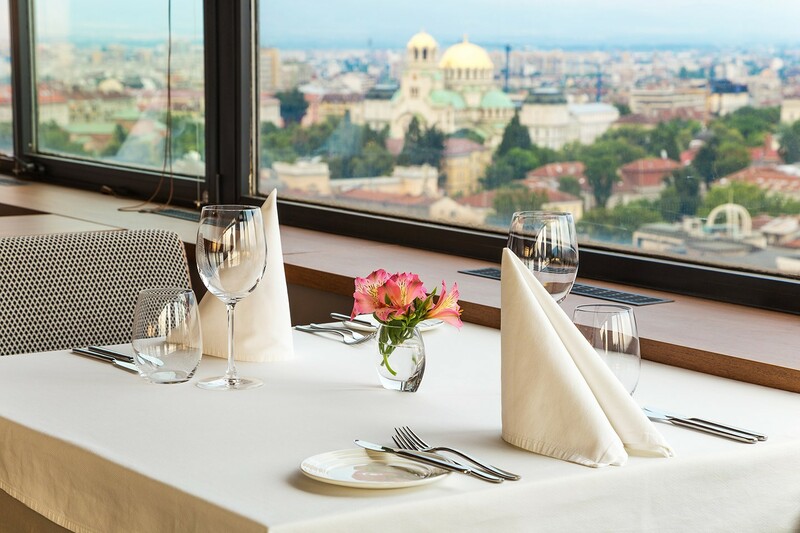 From its large windows you can see almost all the important sights in the central part of the city: the glittering domes of the Alexander Nevsky Cathedral, the red walls of the church "St. Sofia”, the magnificent silhouette of the cathedral "Sveta Nedelya”, The National Art Gallery, the National Palace of Culture. 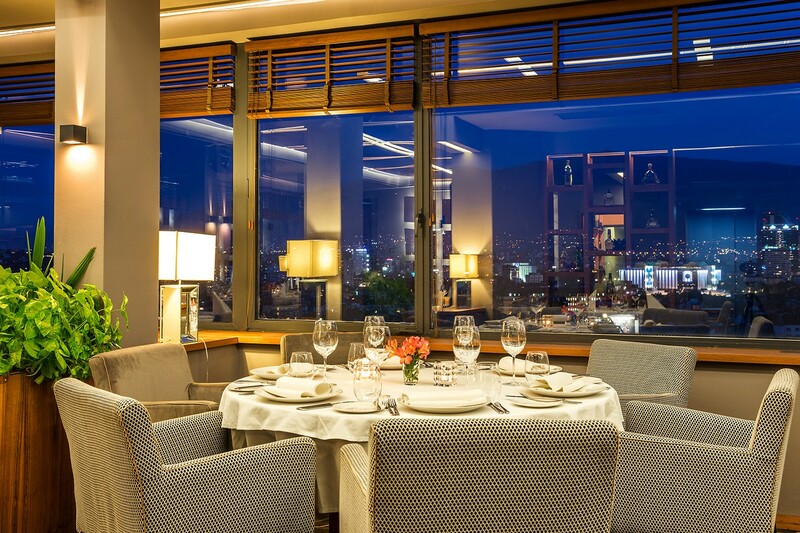 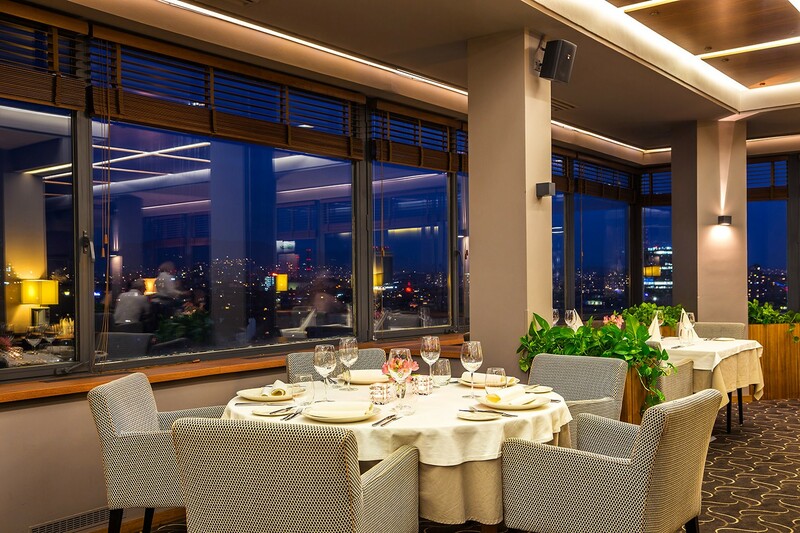 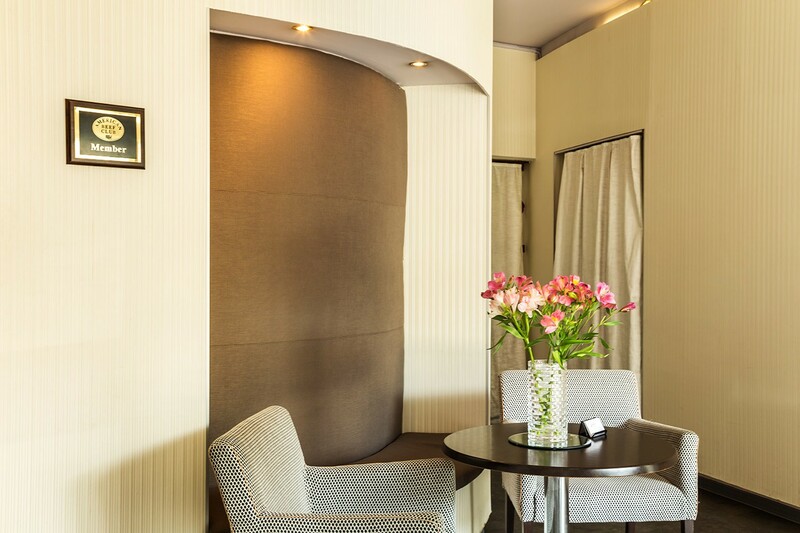 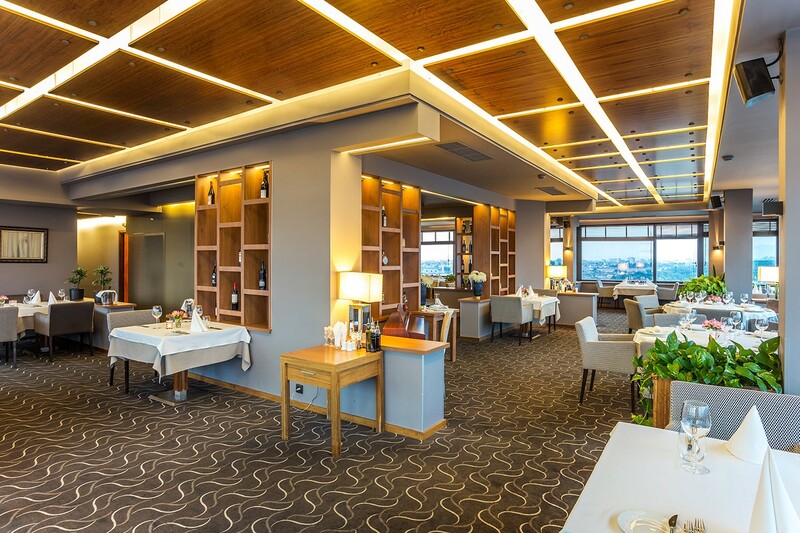 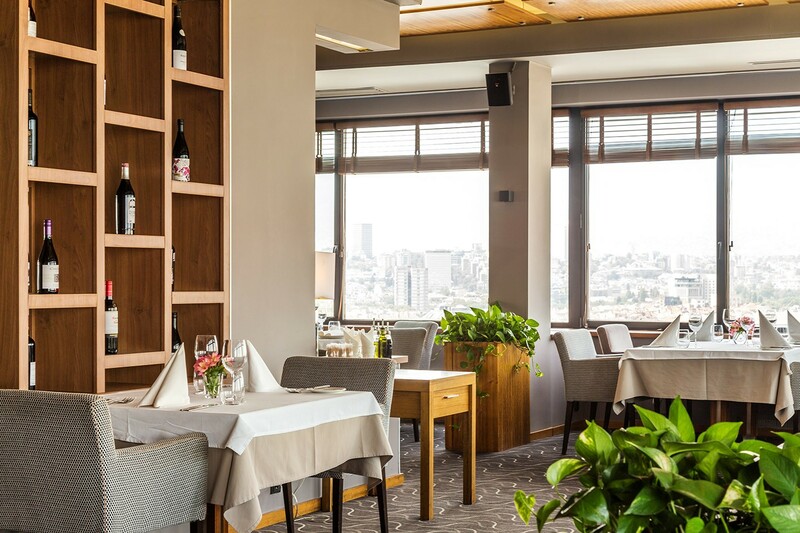 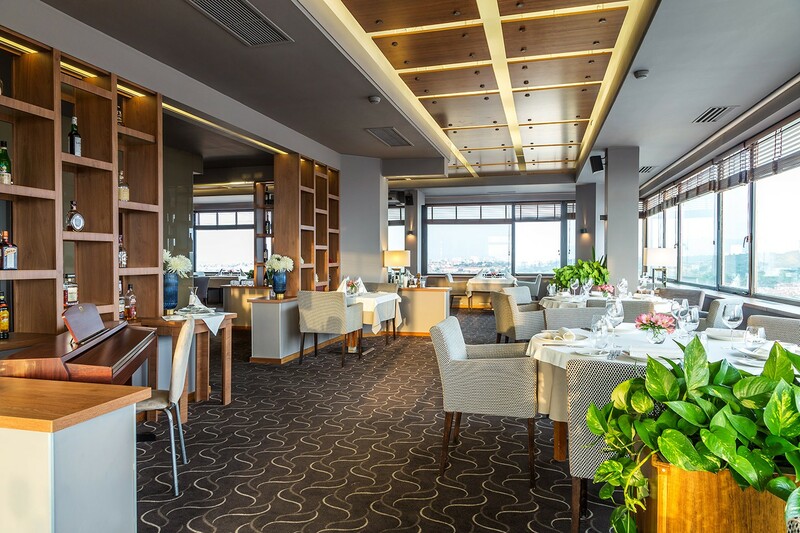 The restaurant’s hall has an elegant, cozy interior that predisposes to calmness and exciting conversations and does not distract from the main thing - dishes, drinks and city views. 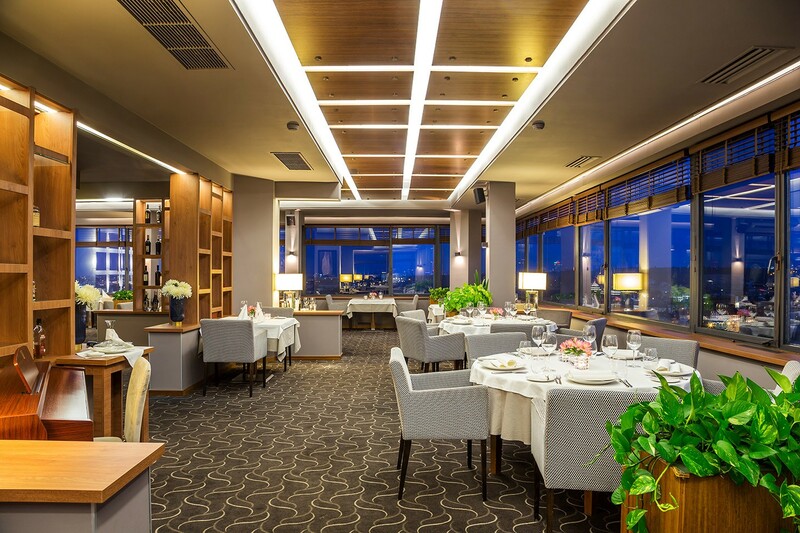 Normally it has 100 seats but for weddings it can accommodate up to 115 people. 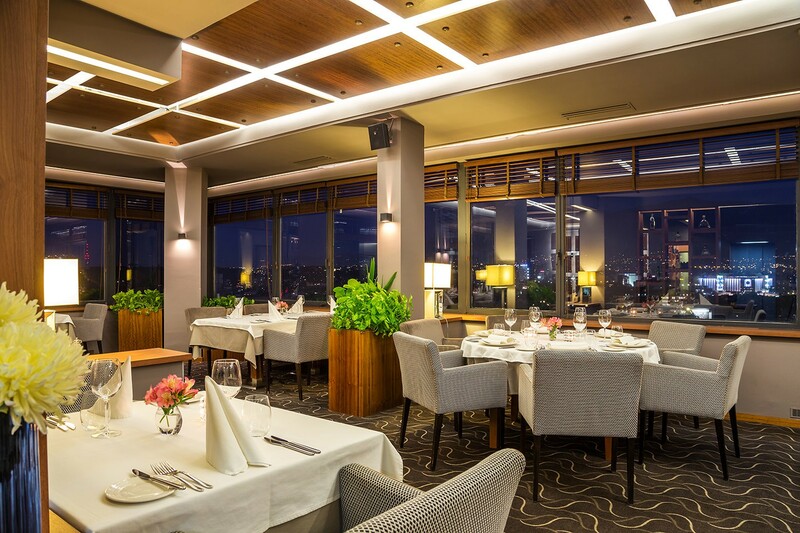 For cocktail parties it can accommodate up to 150 people. 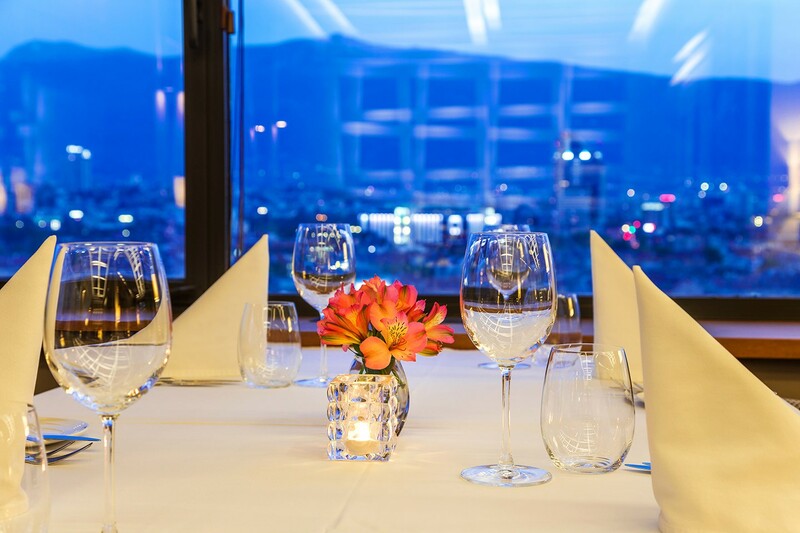 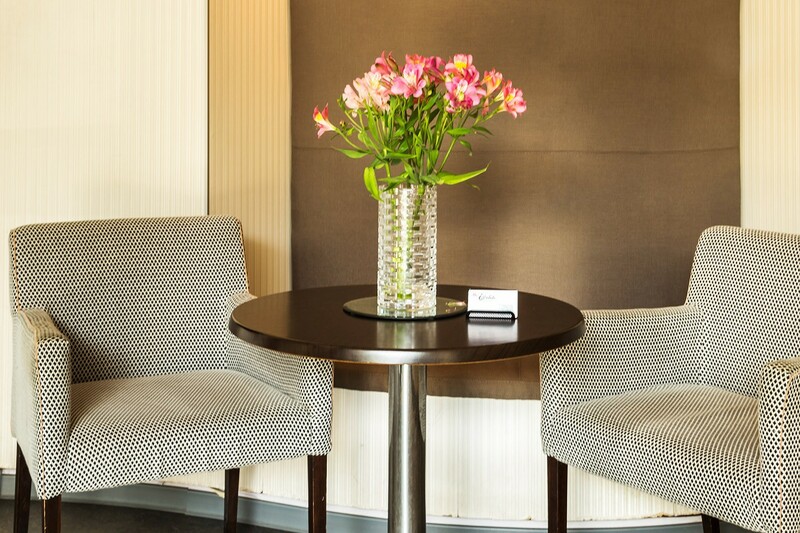 We often host business parties, business dinners and family celebrations. 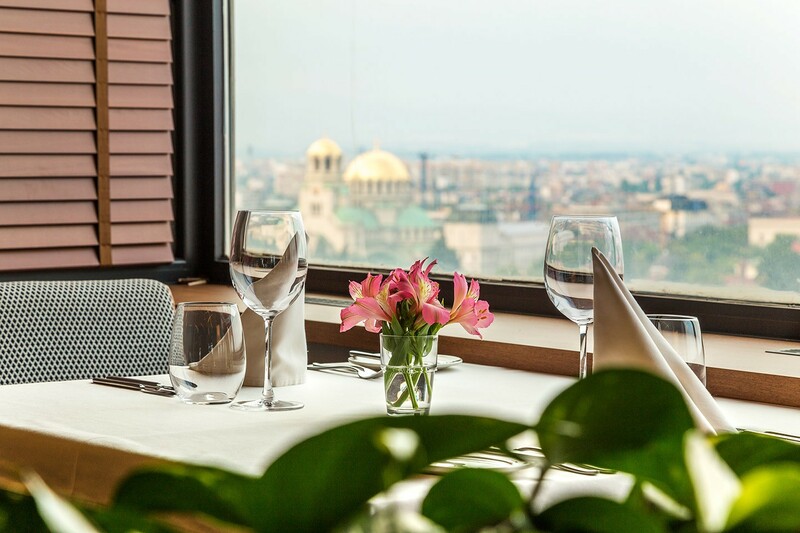 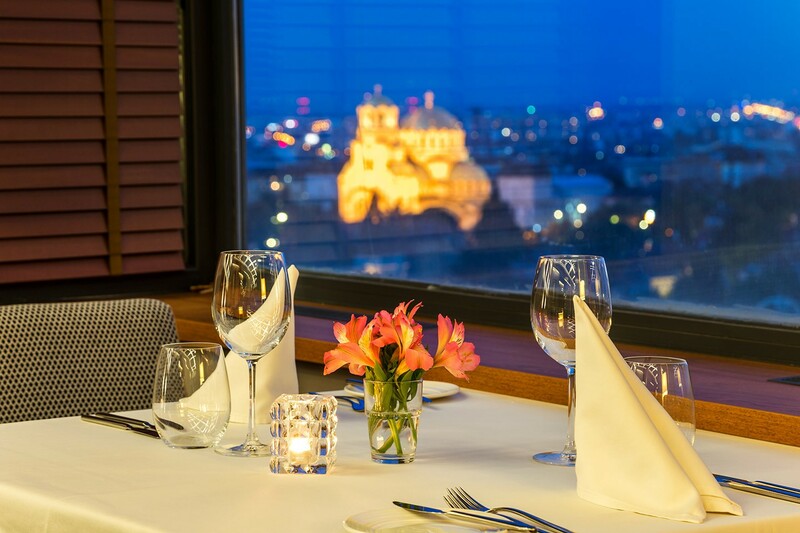 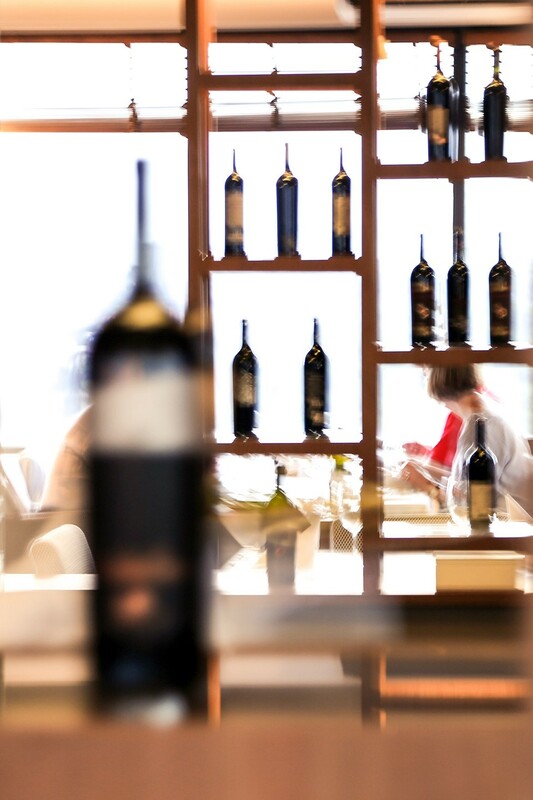 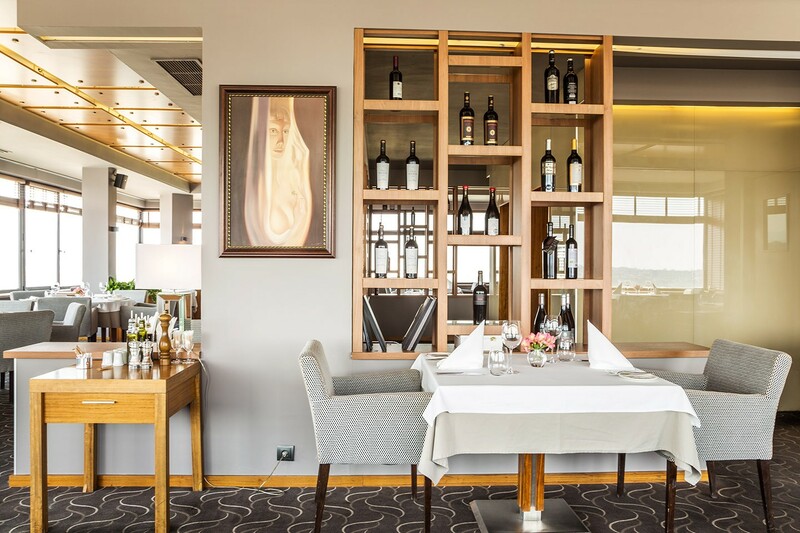 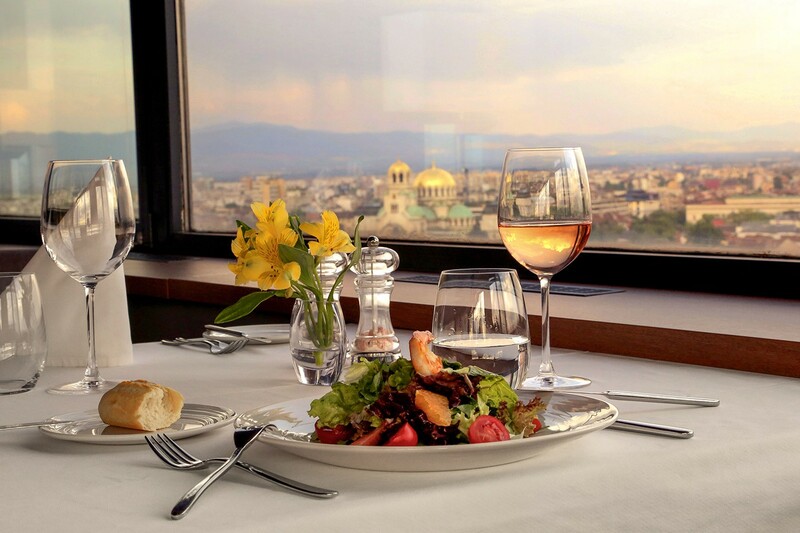 An original menu that is changed twice a year, a wine list, gathering the best wines of 30 Bulgarian cellars, jazz and classical live music and Sofia in your feet - welcome to our restaurant, you will like it.